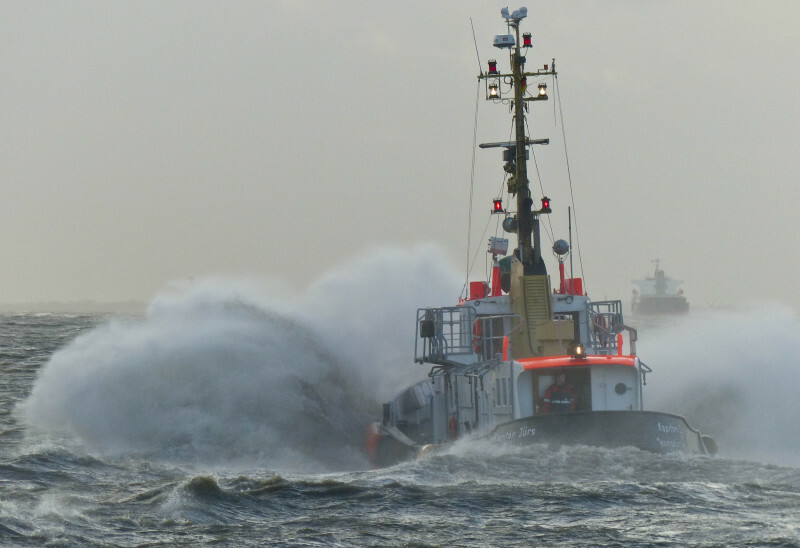 Pilot vessel "Kapitän Jürs" heading out on the river Elbe, flinging itself into the waves. Spotted from Mole 1, Brunsbüttel in the afternoon of 2.02.2016. Brett & Volker - the same to you. Thanks a lot for your equally nice comments, they are appreciated! If we are talking about being safe & secure on the bridge of the ship, then I'm with you Derek. However, I don't wonna climb a pilot ladder in such conditions. Thank you all the more for your great compliment! Dennis & Clyde, I thank you both for your nice and kind comments here! Agree with @Derek in both instances ! This photo has been shown 934 times since it was added to the site.